In the past sixty years, oral history has moved from the periphery to the mainstream of academic studies, being employed as a research tool by historians, anthropologists, sociologists, medical therapists, documentary film makers, and educators at all levels. 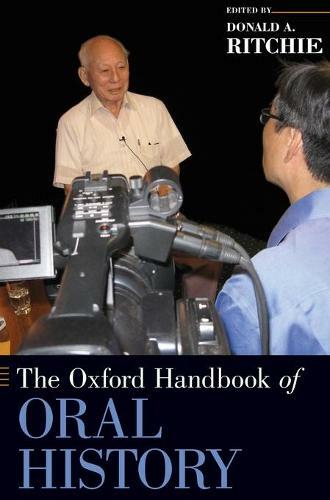 The Oxford Handbook of Oral History brings together forty authors on five continents to address the evolution of oral history, the impact of digital technology, the most recent methodological and archival issues, and the application of oral history to both scholarly research and public presentations. The volume is addressed to seasoned practitioners as well as to newcomers, offering diverse perspectives on the current state of the field and its likely future developments. Some of its articles survey large areas of oral history research and examine how they developed; others offer case studies that deal with specific projects, issues, and applications of oral history. From the Holocaust, the South African Truth and Reconciliation Commissions, the Falklands War in Argentina, the Velvet Revolution in Eastern Europe, to memories of September 11, 2001 and of Hurricane Katrina, the creative and essential efforts of oral historians worldwide are examined and explained in this multipurpose handbook.